Education news from Finland "Helsinki Times"
THE TOWN OF LAITILA IN SOUTHWEST FINLAND has announced that a curfew for school-age minors will be introduced in full, following months of consultation and media attention over the controversial policy. The curfew has been described by members of the local government as “unofficial” and “informal”, meaning that although a curfew for young people will be in place, it is not legally enforceable. This is because it was determined that a curfew enforced by law and police action would lack legal grounds and possibly be in violation of human rights law. THE 2018 YIDAN PRIZE was awarded to winners during a gala event followed by the Yidan Prize Summit in Hong Kong on the 10th of December. The Prize which was being awarded for the second year has been founded by Dr. Charles Chen Yidan in 2016. This year’s winners are Professor Larry V. Hedges of Northwestern University and Professor Anant Agarwal of Harvard University and Massachusetts Institute of Technology (MIT). Larry Hedges is the Board of Trustees Professor of Statistics and Education and Social Policy, Professor of Psychology and Professor of Medical Social Sciences at the Northwestern University in Chicago. “This place can take you anywhere”: Four Students on Why They Chose Metropolia University of Applied Sciences. WITH JOINT APPLICATIONS just around the corner, tens of thousands of people are now feverishly trawling through websites and brochures in an attempt to make the most important decision of their career. This year, a record number of students will be entering bachelor’s, master’s, and doctoral education, including thousands of international students representing hundreds of countries. A majority of those students will be conducting their studies here in Helsinki, which is home to most of the top-ranked institutions in the country. One of those institutions is the Metropolia University of Applied Sciences, established in 2008, the largest UAS in Finland, now boasting over 16,000 students, 1500 of them with international background, representing 90 nationalities. Montessori schools are institutions that subscribe to the “Montessori method” of education, a progressive approach to children’s learning that has been in use for over a century. The method sees children as independent and intrinsically thirsty for knowledge, with its unconventional learning model being characterized by student autonomy, freedom of movement in the classroom, independent learning, and mixed-age classrooms. Minister of Education Sanni Grahn-Laasonen (NCP) in a press conference about the start of the school year in Helsinki on 2 August 2018. 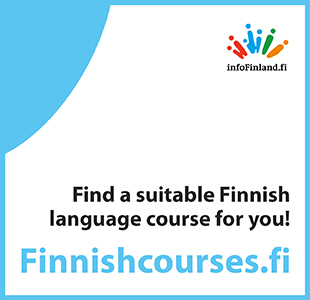 The Finnish government will launch new pilot projects to reduce the cost of textbooks and other educational materials in vocational and general upper-secondary education. Sanni Grahn-Laasonen (NCP), the Minister of Education, revealed last week that a total of four million euros has been allocated for the projects, half of which will be disbursed to vocational and the other half to general upper-secondary education institutions. A total of 66 people were interrogated during an investigation into widespread corruption at the Education Department of the City of Helsinki, says Helsinki Police Department. Police have wrapped up a pre-trial investigation into a massive corruption case where a former employee is suspected of ordering nine million euros worth of equipment for the City of Helsinki’s Education Department in 2006–2016. The computers, mobile phones and other electronics were never delivered to the department but sold to individuals all over Finland. “If you are admitted at the age of 18 to the University of Helsinki, […] your average grade in the first three years is irrelevant,” says Mikko Kiesiläinen, the managing director of Libera Foundation. Libera Foundation has tabled five proposals to fix the higher education system in Finland. Mikko Kiesiläinen, the managing director of the right-leaning think tank, claims that many of the reforms the country has implemented since the turn of the millennium have not been in compliance with the Bologna Process, a series of agreements to ensure the comparability of higher-education qualifications across Europe. A citizens’ initiative for guaranteeing free access to upper-secondary education has received the 50,000 statements of support required for presenting it to the Parliament. Student unions have voiced their delight with the fact that a citizens’ initiative for guaranteeing free access to upper-secondary education has received the 50,000 statements of support required to present it to the Finnish Parliament. While vocational and general upper-secondary education is free in Finland, students and their families typically have to pay for textbooks and other class materials out of their own pockets.